1-on-1 Personal Training with Leah Brennan at the Asheville Racquet Club puts you on the fast track to achieving your fitness and health goals. Each workout is tailored to create an enjoyable experience. OWLS blends tried-and-true strength training exercises with functional movements that mimic the way we move in everyday life. Routines are intelligently programmed around numerous factors all determined by you, your body, and your goals. These custom-made workouts fit like a glove so you can safely execute your routine time and time again. 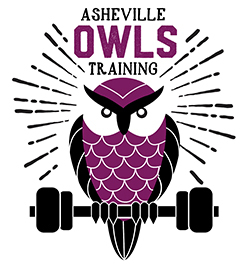 Many clients commit to training with OWLS to advance their current level of fitness. Avid exercisers all fall prey to plateaus and boredom. OWLS will elevate your enthusiasm for fitness by pushing you to new limits.